We at RDS Industrial believe that quality isn't expensive - It's priceless! RDS is your source for extraordinary metal accents, arch elements, spiral staircases, railings, gates, and more. Call us to get started on your project! Vadim Abuzov is an expert paver contractor with years of experience in this field, so trust us to get the job done right the first time. You can always depend on Fences and Pavers By Design for superior work at competitive prices. Our professionally trained staff believes in customer satisfaction and works with you to guarantee that your stonework project is a success. If you need a reliable paver contractor, please call us today. For superb Stonework, including Sidewalks and Driveways, Contact Us Today. We specialize in all aspects and stages of stone work. We provide superior work to the residential and commercial industry, such as driveways, patios, garden walkways and sidewalks. We are a fence company specializing in fences of all types, automated entry systems, anti-ram applications and telephone access systems. JL Fence has a combined experience of 42 years in our professions, and we are confident in our ability to bring whatever product you may be looking for to your door. As a small company we take pride in our workmanship and products, so please, feel free to look around and browse our site to see if we could interest you in one of our fine products. "Our goal is to service our customers in a professional manner so as to create trust and peace of mind, thus creating a lasting and long term relationship with our customers." Title Subtitle Type your paragraph here. Go To Fence Types View Contact Us PERSONALIZED QUOTES Our experience and expertise will assist you with any questions regarding fences. We know the importance of installing and repairing fences- security fence, privacy fence, pool fence, containing pets, or just simply adding beauty and value to your property. 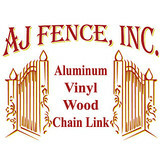 We specialize in wood, vinyl (PVC), chain link (galvanized or coated vinyl), wire, metal, and aluminum. AAA Quality Fence LLC has over 20 years experience as a fence contactor installing fences and working with the public in Brevard and Indian River County. We take pride on the quality of our work and reputation in the community. Our company is built predominately on word of mouth (referrals) from our valued customers. We service Brevard County and Indian River County areas. Aluminum Fabrication and Powder Coating. Our company has proudly been serving Volusia county and surrounding areas since 1997. We work closely with our clients to actualize their ideas and ensure that they have a role in the creative process every step of the way. In order to keep our prices down, we have learned from experience that it is important to have partnerships with local providers. Thus, over the years we have developed partnerships with local businesses for most of the materials we use, making our materials easy to obtain and keeping our costs low. Fence Installation and Repair. 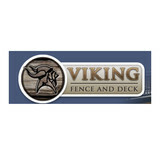 30% Off Fence Installation Including Vinyl, Chain Link, Aluminum and Wood. Your Oviedo, FL fence installation and repair professional will work with you to create your ideal fence. 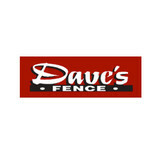 Find a fence contractor in Oviedo, FL on Houzz. 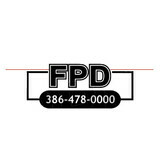 Narrow your search in the Professionals section of the website to Oviedo, FL fence contractors. 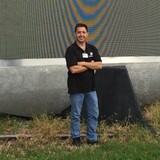 You can also look through Oviedo, FL photos to find examples of fencing and gates that you like, then contact the professional who worked on them.